What I like most about Gerry's Grill is the serving of food and drinks at the fraction of the price. Me and my friends used to dine in, hang out, drink and have fun while the band is singing at the stage, loving every moment while they are serenading us with barbaric lullabies and nostalgic love songs. 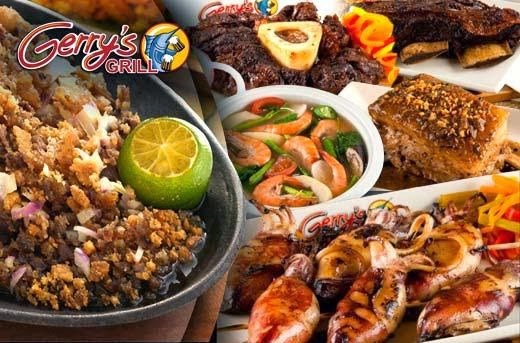 Ever since when I'm still in college, Gerry's Grill has been a household name for us who wants to living the moment and have a memory together. Well of course, there are other bars that came to mind that also brings food and drinks that are affordable, and luckily they did not disappoint. I adore every minute of being at the bars and restos that offers a one-of-a-kind ambience and hype as we are searching for something new. But of course the classic Gerry's Grill is still the best for us. 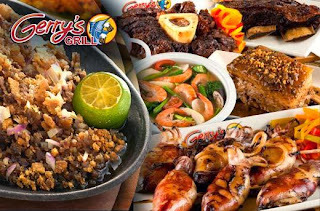 It is a surprise for us to see Gerry's Grill offering a huge 50% off on their branch at the Congressional Avenue, courtesy of MetroDeal. The said website is known for their explosive discounts up to 90% on their massive display of products and services, ranging from hotels, spas, travel destinations, foodie treats, enchanting activities and more. I'm more than glad that they got to have Gerry's Grill on their deal list, for I've been a fan of their food and the place itself. A friend of mine has told me about this amazing feat. Good thing that we had our reunion in mind and we managed to contact our college blockmates and set the date on our trip to Gerry’s. We told them about Metrodeal offering this amazing promo and we all decided to grab this deal in an instant so that we could have an ample amount of food and drinks during our stay. Since the deal is only worth 250 for 500 pesos worth of food and drinks, We purchased 8 vouchers (4000 worth), avail on the most preferred date, proceed to the Gerry's Grill and unleash the night with my friends. And just like the old times, Gerry's Grill live on its name and reputation, giving us the best food, drinks and booze in the whole metro. The bands may come and go, but they still gives out the same home-like entertainment that everyone likes. We share the good ol' moments during our college days, our past instructors, the life after graduation, work related misadventures and our future plans. It's good to see the good ol' familiar faces and to relieve the memories on our college life.